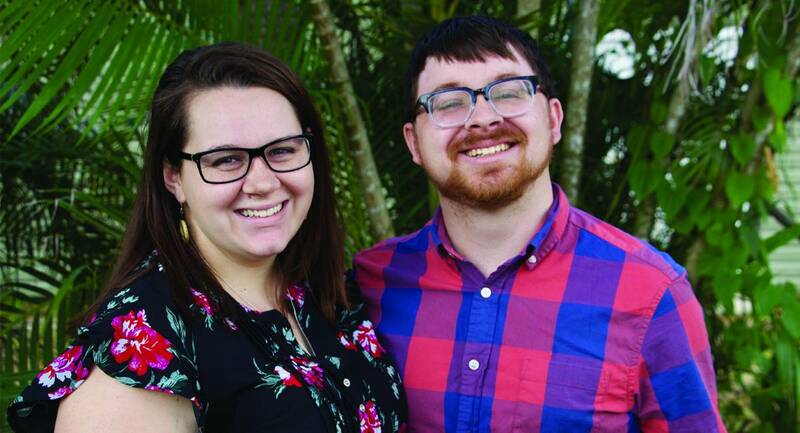 Christian and Elisabeth Arnold feel called to work with youth and teach them not only how to be future leaders, but also how to be active participants in their church and their communities right now. They are preparing to serve in Ireland and are excited to take their first vision trip to Ireland in the Spring of 2019. They are completing their training to be on the field by January 2020. Christian graduated from Johnson University Florida with a B.A. in Pastoral Care & Counseling, Humanities & Bible in 2016, and an M.A. in Intercultural Studies with an emphasis in Church Planting in 2018. Christian has a heart for connecting God's people with His Word, and plans to help the youth in Ireland take ownership of their faith through discipleship & the study of Scripture. Elisabeth graduated from Johnson University Florida with a B.A. in Business Administration & Bible in 2017. She has a passion for empowering youth to make a difference for the God's Kingdom. She plans on engaging youth where they are at and helping them to use their gifts and abilities to be salt and light in the world. They have been married for two years and welcomed their first child, Caspian Hunter Arnold, into the world in September of 2018.